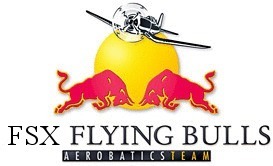 We call your team the in 2010 organizing onto an avoiding airshow in Kecskemet AFB Hungary (FSX)! We hope for it you accept it our invitation! We wair for your answer! Hello Flying Bulls! I'm Peter from Hungary. The Virtual Kecskemet Airshow's organizer. All information will be announced here, and it is possible to talk everything over much more easily!